Drug possession charges can be brought against anyone possessing heroin, meth, cocaine or other drugs. Possession of a controlled substance is one of the simplest criminal charges in the criminal code, the elements of the offense boil down to this: It is illegal to possess or use a controlled substance. Now of course the list of controlled substances gets pretty long and complex but in most cases the substances are pretty well know. 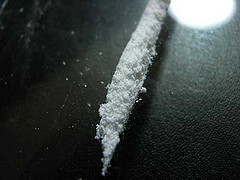 Additionally in some scenarios there is a defense to this crime if the substance was obtained lawfully with a prescription but other than those to issues most cases really just comes down to a chemical test to determine whether or not the confiscated substance is one of the outlined controlled substances. Often an issue that arises in possession cases is when there is more than one person in the area where the drugs are found and law enforcement and the prosecution can’t exactly prove whose drugs they are. In cases like this one of the individuals can usually take the wrap and claim the drugs which will usually save the others from prosecution. In cases where no one wants to claim the drugs however things can get a bit complicated and the prosecution will sometimes try and charge multiple individuals with possession of the same controlled substance. For those facing a possession charge, whether it is for marijuana or heroine, the best thing to do is contact an attorney at Criminal Defense Attorney Salt Lake City. A drug possession conviction could not only cause serious immediate penalties like incarceration, fines, and treatment, but a drug possession conviction on an individual’s record could seriously cause problems later on with employment or other opportunities. Our lawyers have worked with hundreds of clients dealing with their drug crimes and we know how to help you in your case. Call or email us today to get a free consultation and get your questions answered.